Castillo-Fernandez said Malaysia and the EU had enough solid grounds to finalise the talks within a reasonable timeframe. 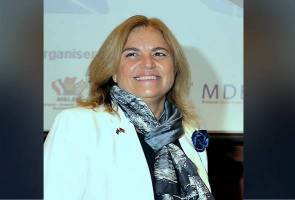 KUALA LUMPUR: The stalled Malaysia-European Union (EU) Free-Trade Agreement (FTA) talks will be resumed sooner, within this year, said EU Ambassador and Head of Delegation to Malaysia, Maria Castillo-Fernandez. She said the EU Member States Chief Negotiator would submit the re-launch of the negotiations proposal next month in Brussels, Belgium, (the de facto capital of the EU), to establish "the when and the how''. "Once it resumes, we can complete it in a very reasonable timeframe. "We are not starting (the FTA) from scratch, but with the background of the past five-year negotiations, it should be easier," she told reporters after the launch of the "Europa Awards for Sustainability 2017" here today. As the dedicated advocacy platform for European businesses in Malaysia, the EU-Malaysia Chamber of Commerce and Industry is organising the awards to promote sustainability and further empower business excellence in Malaysia. Malaysia started talks on a trade deal with the EU back in 2010, but negotiations were subsequently put on hold, as both sides had exhausted their negotiating options at that time. Subsequently, it was agreed that negotiations will resume when a fresh mandate and/or flexibilities become available to both sides. She said the future direction of EU-Malaysia trade was very positive. "Bilateral trade is growing. EU is third largest trading partner and the largest investors in Malaysia, and with FTA, trade will certainly increase further. It''s a win-win situation for both sides. We eagerly wait to start the formal negotiation in the month to come," she said. On palm oil, Castillo-Fernandez said, there was different debate in different countries in Europe that have been going on with non-binding resolution which was not a law. "It comes and go. Certainly its very clear that there are efforts that Malaysia is doing, and we should patronise those efforts and work together, for sustainable productions in palm oil, as well as timber, rubber and other commodities. "Enterprises today take sustainability, both environmental, social and economic, into the businesses," she said. Over the past three years since 2014, trade with the EU recorded a positive trade balance of RM1.7 billion, RM9.3 billion and RM10.6 billion, respectively.